Egg health is one of the cornerstones for healthy fertility. The health of your eggs (ovum) can affect whether or not fertilization and implantation will occur, as well as the viability of a pregnancy. Learn from this video several tips on how you can help support the health of the ovaries and eggs. Download the Instagram App to watch our live broadcasts! The eggs you are born with are the eggs you will have your whole life. It is not completely understood if women can grow new eggs as we age (men grow sperm every 2 ½ – 3 months). It is believed that we cannot, although new research on rats had discovered stem cells exist within the rat body that can produce new eggs. We have yet to see human studies, but this research is nonetheless amazing. Maybe one day there will be a way to help women grow new eggs as they age, but for now we need to focus on supporting the health of the eggs we already have. There are ways to impact and support the health of the egg that will be ovulated 90 days from now. While many eggs go through the 90-day egg cycle but, most often, only one will mature and be chosen by the dominant follicle to be ovulated. 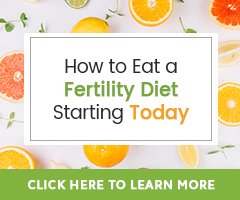 So, what you can begin doing now is support and increase healthy circulation to the reproduction system and nourish the body and its cells (egg and sperm are cells). Ample, healthy blood flow helps oxygenated blood and all of the nutrients you are giving the body through diet, herbs and nutritional supplements get to where they need to go. Take breaks: Take a 15-minute break every 90 minutes when you are working or sitting. Be sure to move around on this break, get up and do something! Drink water: Being hydrated gets blood flowing, which decreases stagnation. This is important because many women have very sticky, stagnant blood because they aren’t drinking enough water. One tip: drink one quart of fresh water (add a squeeze of fresh lemon juice if you want) first thing in the morning. Note: Massage and Castor Oil Packs are not for use during menstruation, after ovulation when actively trying to conceive, during IUI/IVF, or after embryo transfer. In addition to the reasons listed above, another reason to naturally support egg health is that it is something you have control over. We want to empower you, to give information on the things you can do for yourself. Protecting the integrity of your DNA, the genes you will share with your child, is in your control! The bonus: Preconception care is one of the greatest gifts anyone can give to their child! that will be a great place to start learning more. Do click the blue hyperlinks to learn even more than is shared there.